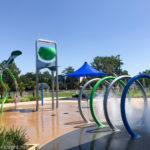 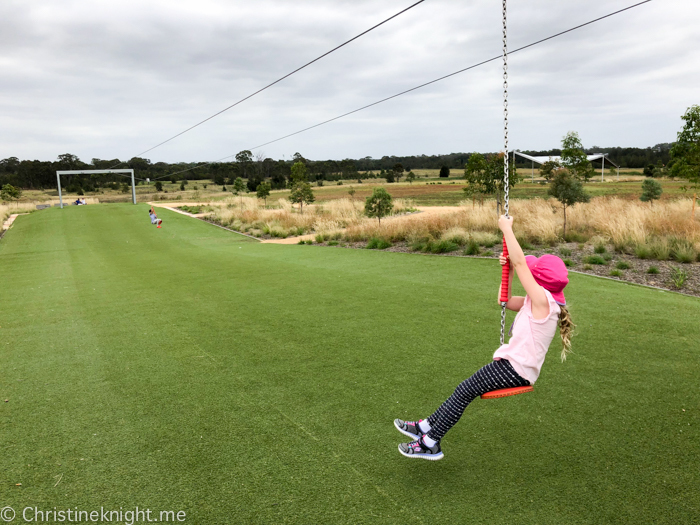 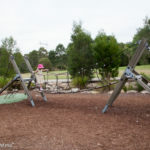 Sydney's Best Playgrounds: Bungarribee Western Sydney Parklands - Adventure, baby! 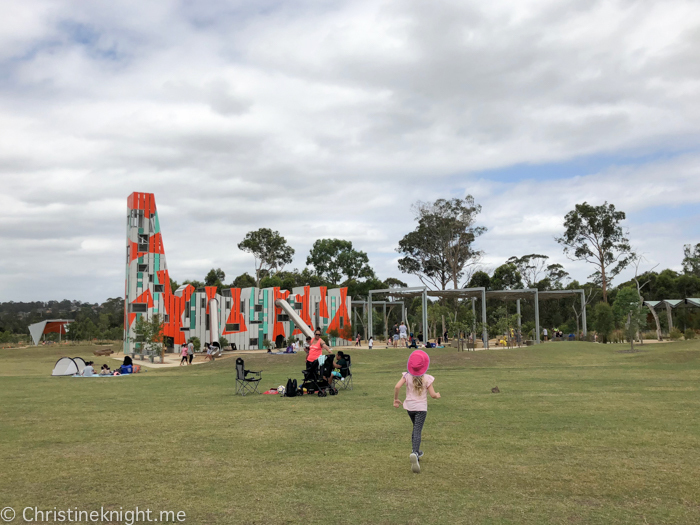 The Western Sydney Parklands is a top spot for local families to stretch their legs and really enjoy the great outdoors. 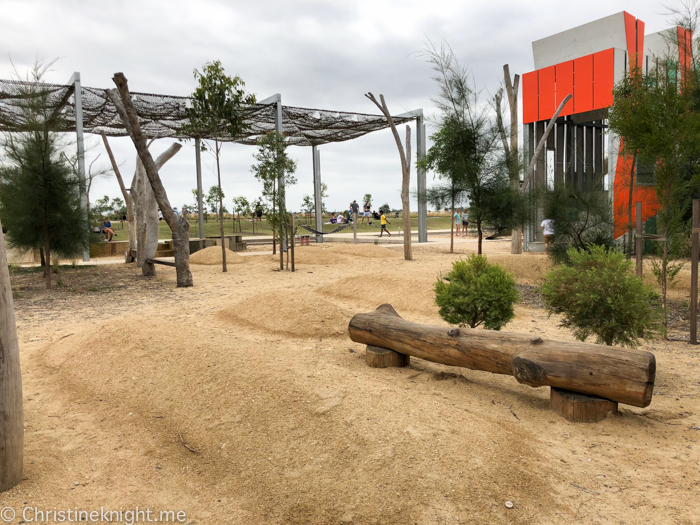 The newest park in the precinct, Bungarribee, opened in March 2017 – a 200-hectare recreational facility that gives locals plenty of wide open space to play, cycle, scoot, walk, run and even walk their dog at one of Sydney’s largest off-leash dog areas, the Warrigal Dog Run. 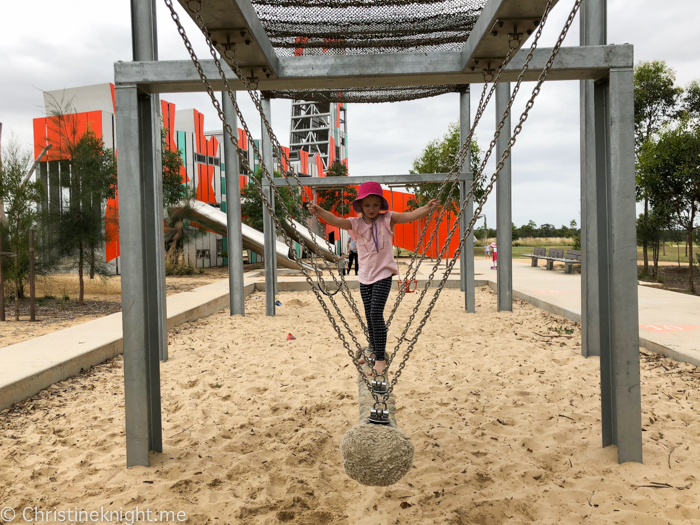 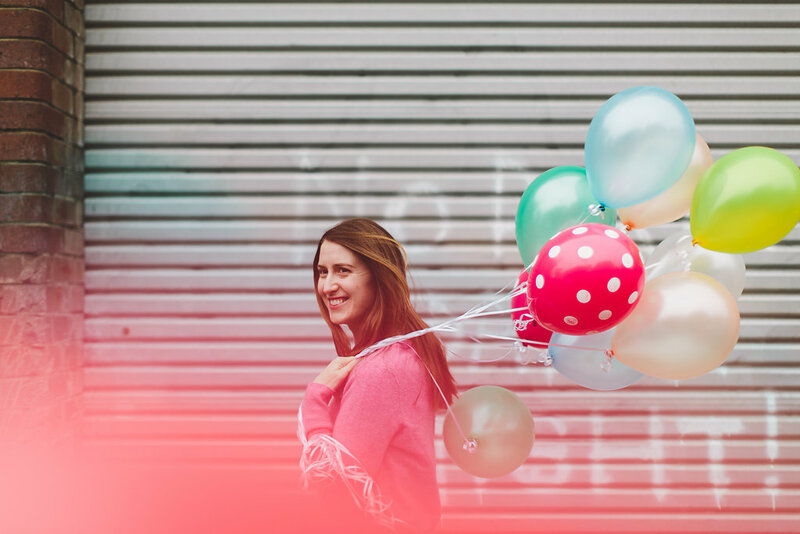 At Bungarribee you’ll find plenty to entertain the family all day. 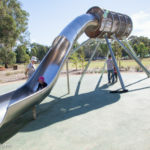 The ultra-modern playground will be a total hit with the kids, with its 14-metre-high playtower, 50-metre-long flying-fox, giant and baby swings, water play area and sand pits. 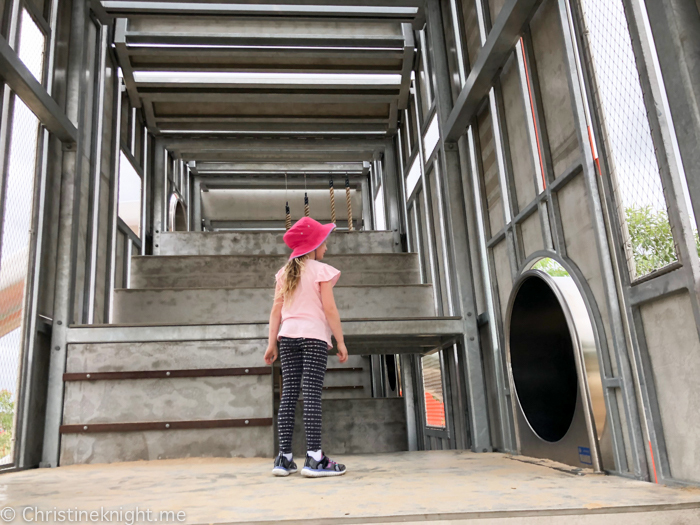 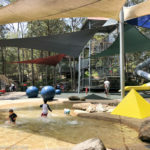 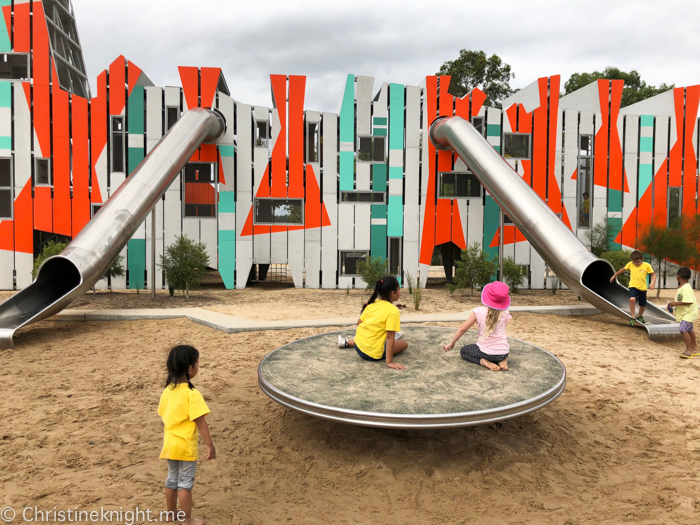 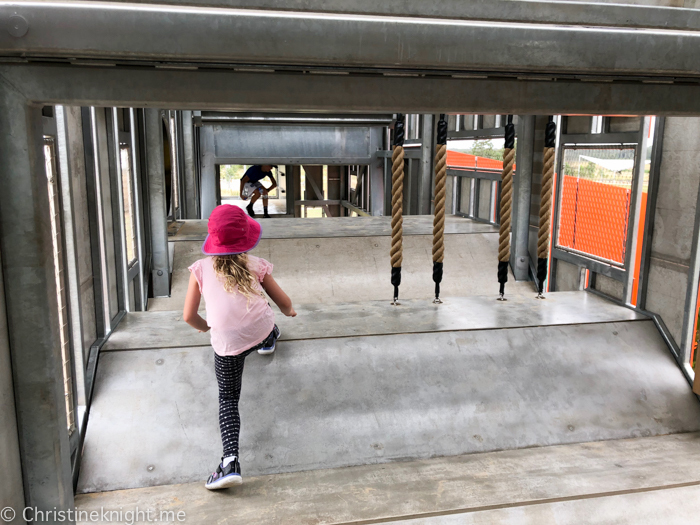 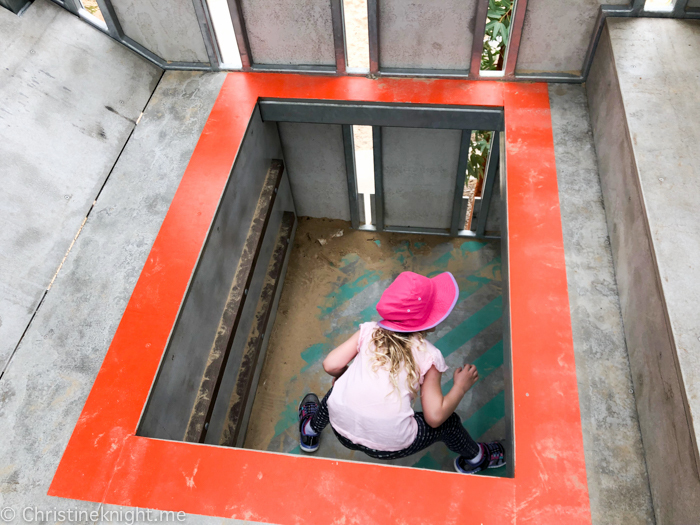 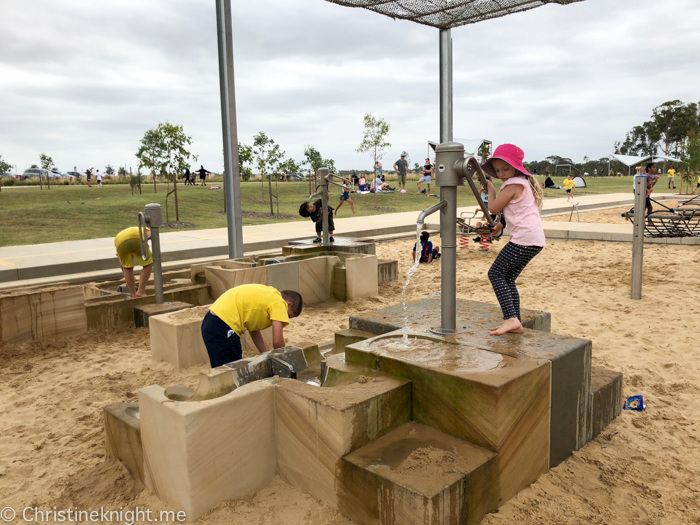 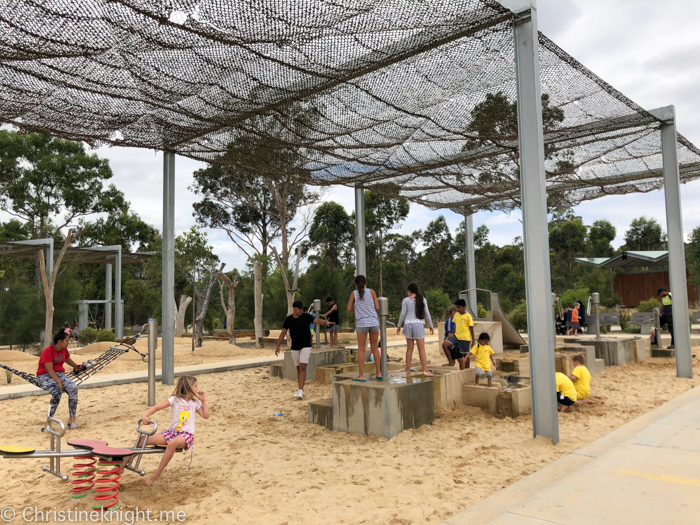 The playtower is unlike anything we’ve seen in a Sydney playground before, with multiple levels giving kids challenges to climb over and through various levels. 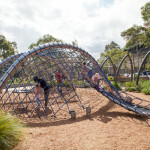 It’s a great space for tweens to enjoy in particular. 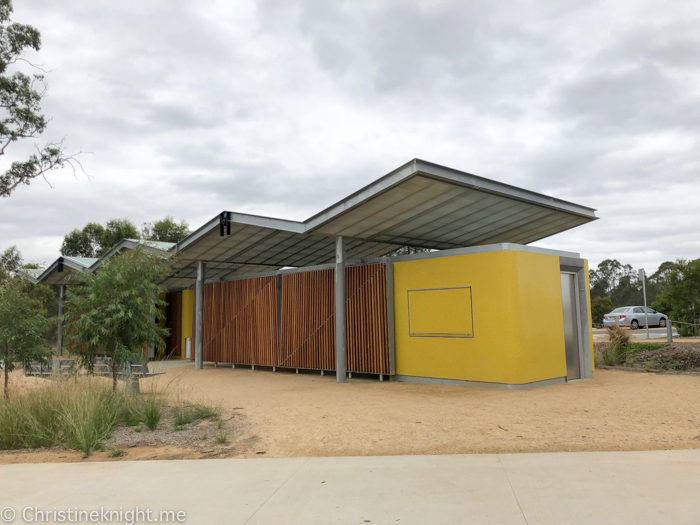 Other facilities at Bungarribee include walking/cycling/scooting tracks, 20 barbecues, 13 picnic shelters (8 are available for hire, the rest are free of charge, on a first-come first-served basis), plenty of car parking (the area we parked had free all-day parking), large, clean bathrooms, and wide open fields to run around. 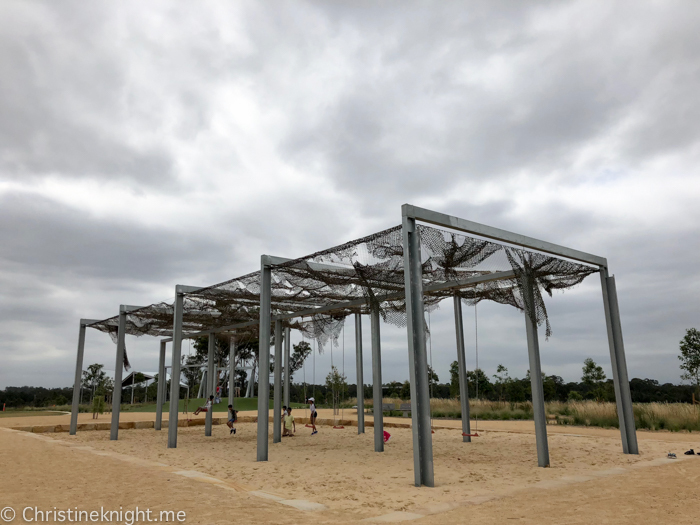 The park needs better shade cloths instead of the rather weird netting that was used. 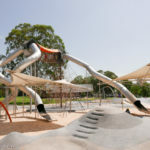 The park has no all-ability features in it. 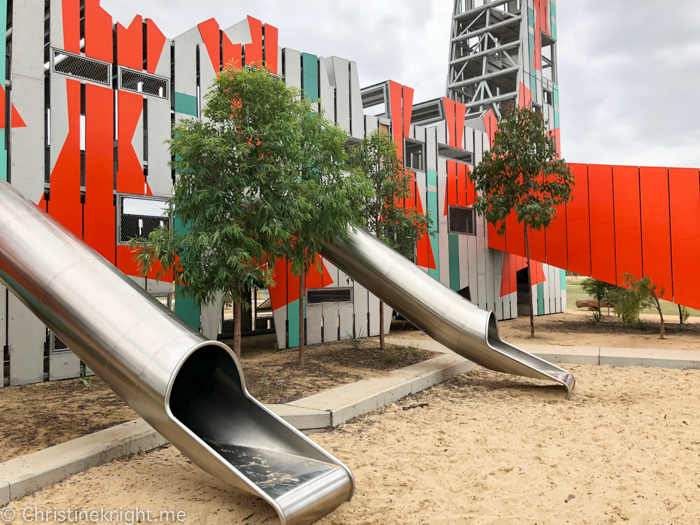 I can’t understand why 15 million dollars was spent on a huge new park that excludes kids with disabilities. 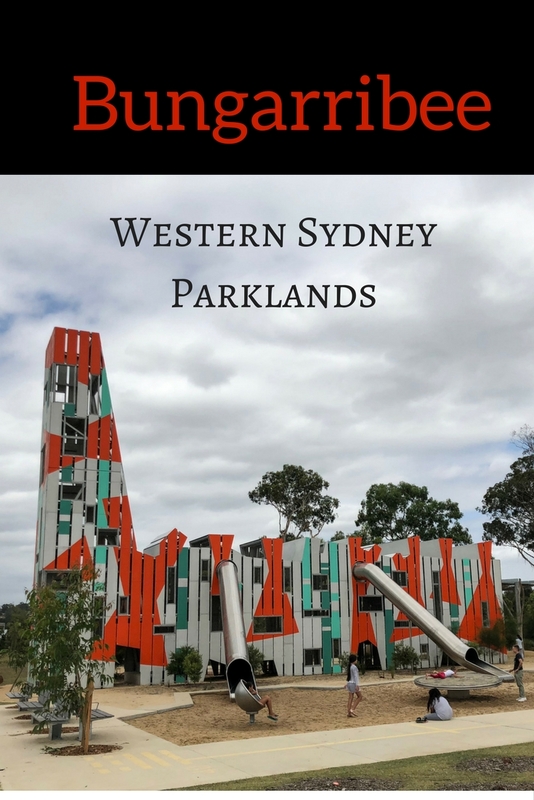 Get more information on Western Sydney Parklands Bungarribee here. 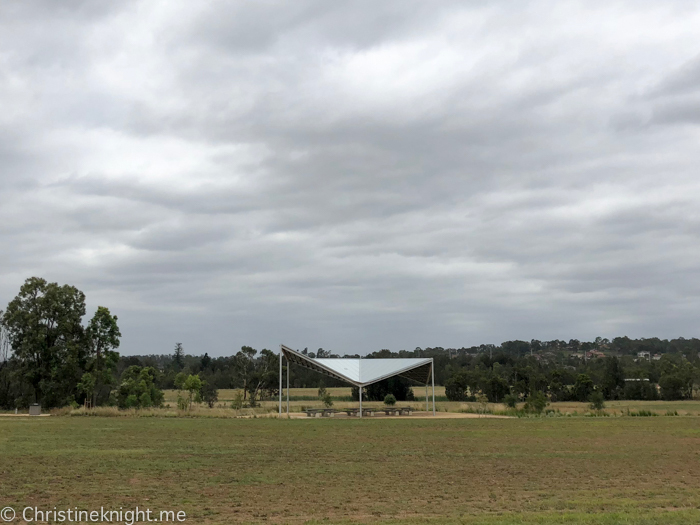 Entrance Intersection of Holbeche and Doonside roads, Bungarribee. 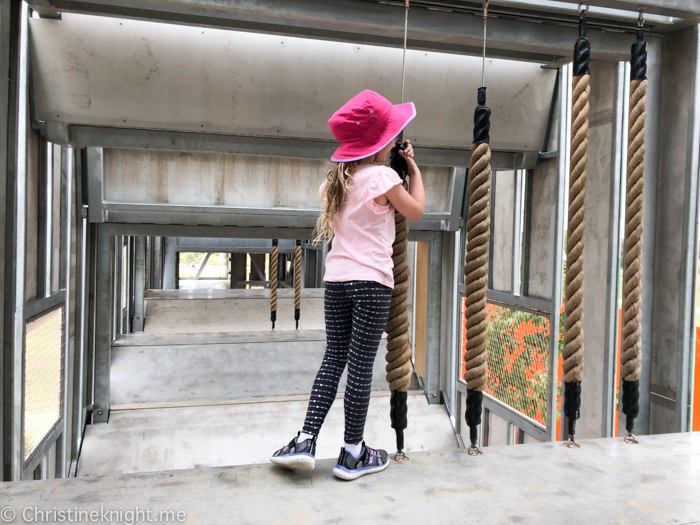 « Kids’ Theatre Review: Operation Ouch!